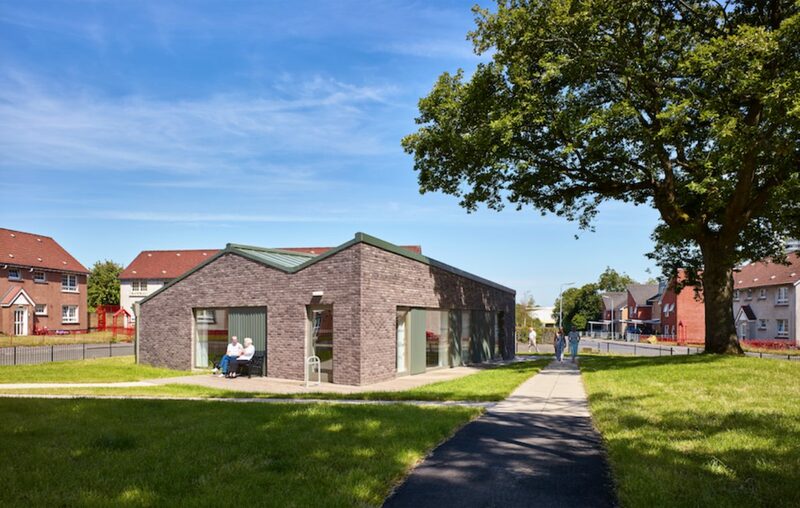 In 2014 Collective Architecture were commissioned to design a multipurpose building to service a small development of 60 homes occupied by elderly people, most of whom have reduced mobility or assistance needs. 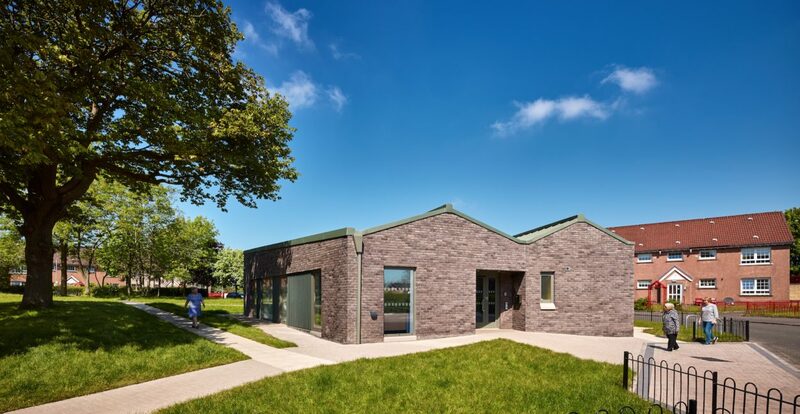 Located in Castlemilk, the development is perfectly positioned for elderly with local shops nearby, a health centre, opticians and a range of other facilities. Although the buildings themselves lacked basic facilities and any visiting nurses or caregivers would have to make do with a temporary arrangements. Also, despite being a close knit community, there was nowhere that all the residents could meet and socialise within their housing development. Once the brief was defined, Collective Architecture sought to develop the proposals: hosting consultation events, interviewing staff, creating models and visualisations to support the discussions. Detailed research also took place on care for the elderly and best practice. Co-production was carefully considered: where social workers, chiropodists and other caregivers work side by side sharing the same facilities. 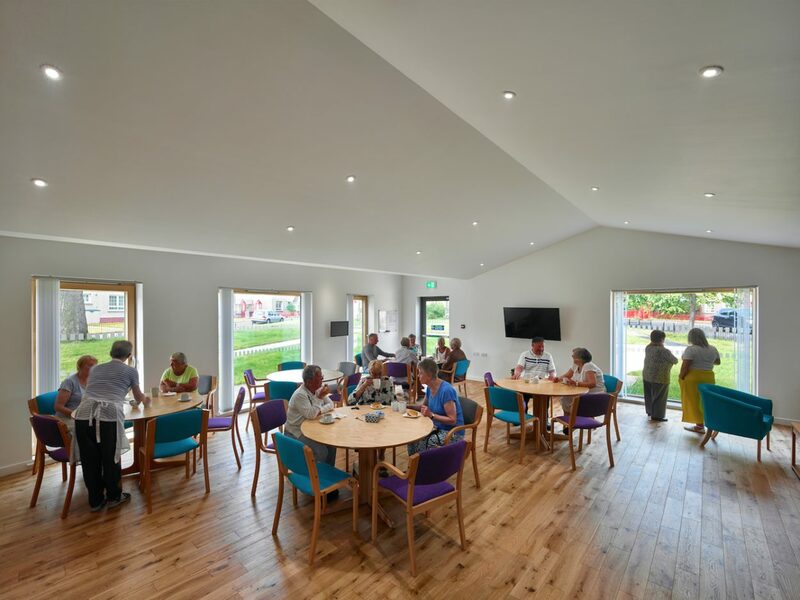 It was also hoped that the building could support a range of social activities and address issues of isolation amongst elderly. So a number of scenarios were to be considered: Christmas dinners taking place in the same room that might be used for a tai chi class or digital inclusion workshop. The building was to be positioned at the heart of the development in the central garden area with all homes facing on to this. The garden, with it’s southerly aspect and mature trees, was considered a key feature and it was important that the new building was respectful of this. A splayed footprint was proposed: sight-lines carefully drawn from the entrance to ensure that the building, although substantial in size, would not dominate and the trees could continue to frame the views around the site. A folded roof form was adopted so as to allow the eaves to drop in height, further reducing the dominance of the building which would be overlooked on all sides. A muted material palette was proposed: green zinc alongside a lightly coloured, sand textured facing brick. Completed earlier this year, the building is now in use with a variety of activities taking place: caregivers able to support health and wellbeing with a range of classes, the central kitchen allowing residents to host their own social events and the laundry area as “the wee steamy” providing opportunities to meet and further tighten the close knit community.